Do you have an older dog? Maybe a dog that you think needs a little extra help into the water? 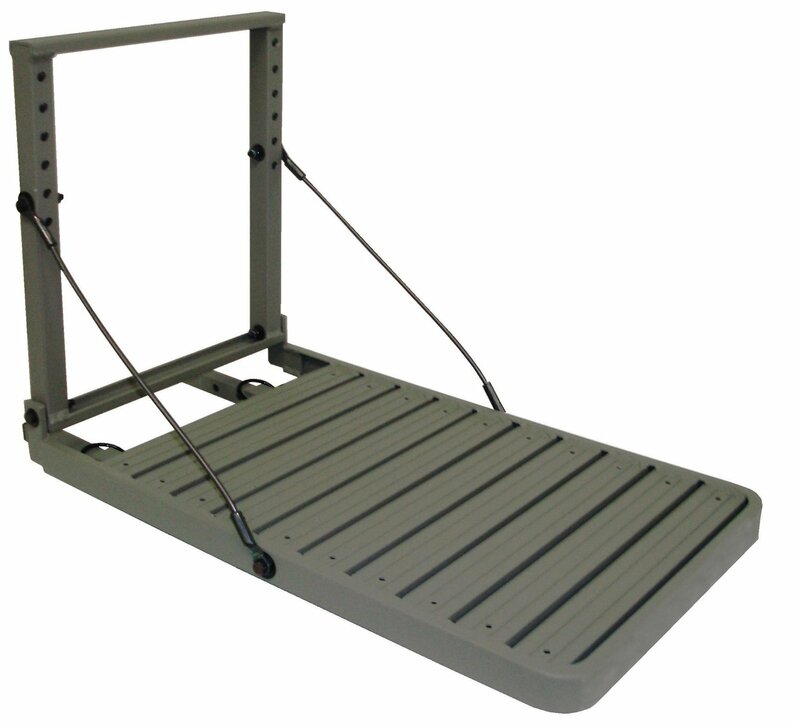 Maybe you just have a dog that struggles to get back into your boat when you’re fishing, hunting, or just on an excursion in the wild- you should look into purchasing a dog ramp for boat- you’ll be amazed at the difference it makes for you and your dog, and you’ll be glad you did. 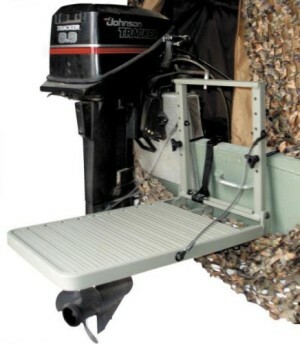 Why Purchase a Dog Ramp For Boat? For us, it’s integral to avoid injuring our dogs when we’re out in the water. And sometimes we have serious problems with our dogs getting back into the boat when it’s especially cold, or if we’re using our pontoon or other variety of boat that makes it more difficult for them to land. The fact of the matter is, when you’re struggling with a struggling dog, they can not only hurt themselves- they can hurt you too, which makes it more and more important to purchase a high quality ramp for your dog to use when it’s out in the water. 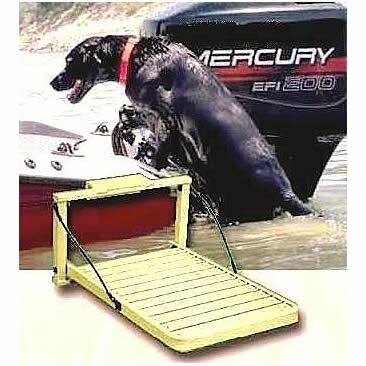 Typically speaking, the most lightweight boat ramps for dogs are very important at helping your dog in a wide variety of situations (not just on a boat): you can put them in the pool, mount them off of a dock at the lake, or even take them along with you when you’re visiting friends and family. 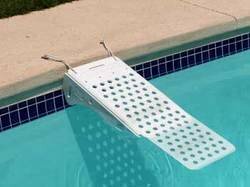 An added benefit is providing a safe way for your pet to escape the pool, which is a definite safety precaution if your animal ever found itself incapable of climbing or jumping over the top of the pool or boat, especially in rough or less than ideal situations. 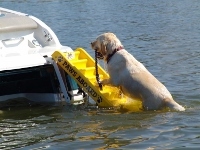 What Makes the Great Day Inc Load a Pup Platform so Great in the world of Dog Boat Ladders? -The way that the Great Day Platform system is made makes it exceptionally easy to get your dogs out of the water with as little effort as possible. 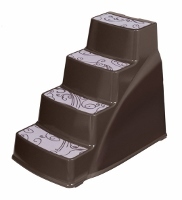 No struggling, no hurt muscles or injured dogs, just ease of use. -The platform is made from the highest quality aluminum parts so that it’s sturdily built and built to last, with a powder-coating to make it more resistant to water and outside weather, plus it has “Sure-Traction” ridges to guarantee that your dog will have the absolute best footing, with security straps to make sure that it stays attached properly. -The entire construction of the platform is fourteen inches wide by twenty inches long to give you almost two feet to edge your dog into the water like you’re supposed to. 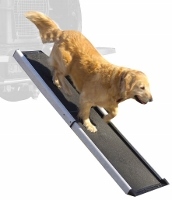 Without worrying about your dog slipping or falling and hurting themselves. 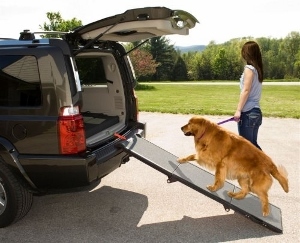 -The Great Day Inc dog ramp is built to support up to 200 pounds, so you know that your dog will be safe, and you can even stand on it a bit to help support your dog further. You’ll never have to worry about the construction folding underneath a larger, older dog with unsure-footing out on the water- and we guarantee the most safety possible for your animal. 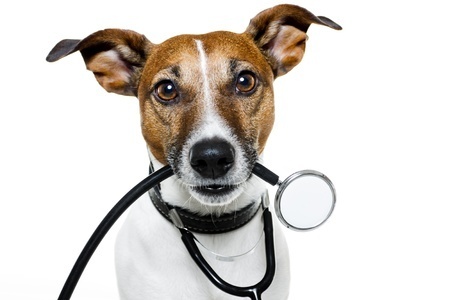 -Easy for your dog to get used to using, and you won’t struggle with directions. 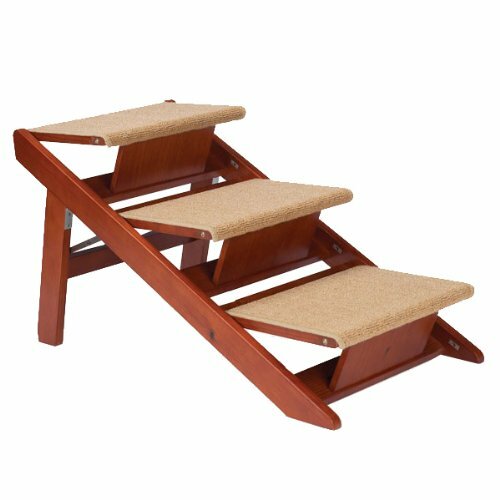 This product is a synch to support, you simply attach the holding ropes and let the momentum behind the dog ramp do the work for you. Most reviewers wouldn’t choose another product after they used the system provided by Great Day Inc. It’s perfectly designed so that it sits about 8-10 inches under the water on a smaller pontoon boat, or even a small cruiser type ship. 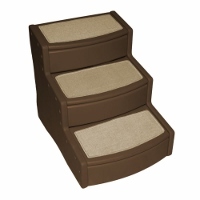 You could even put it on the back of a houseboat to give your pet the absolute best solution in a situation where accessibility is key. As it is extremely light weight and very well put together, most reviewers rave about the overall quality for their older dogs. Furthermore, it’s easy to handle, and easy to move if scrub or other obstacles get in the way. And while your dog might not weigh all of 200 pounds, it’s nice to have the extra support- especially if you have more than one dog to accommodate or if you might need to help your furry friend off the boat. 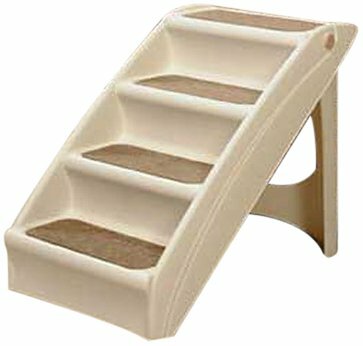 The hooks that are provided for the sometimes slip out- so you might want to take an extra trip to your nearest hardware store and buy J hooks to give this dog ramp the support it needs- and after that, it’ll work perfectly for you in practically any application you might need it for. 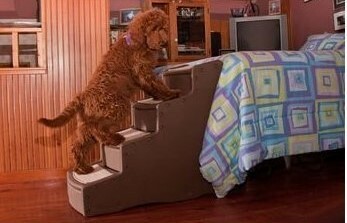 In the End, Should You Buy this Dog Ramp for your Dog? You can never completely prepare yourself for whatever might happen, but this ramp helps further protect an aging dog- or even a small group of excited dogs- get back up on a slippery, dangerous boat deck. This is important when you could risk injuring yourself or your dogs struggling with getting on the boat. 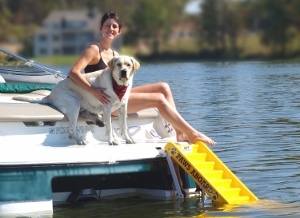 Most users of this product were very pleased with the quality overall- and were very happy with how lightweight and portable this dog ramp for boat was- especially after a little modification.